Coffee and tea fans, take heed: there's a new spot in town to get your fix. The newcomer to Rittenhouse, called Parliament, is located at 30 S. 15th St.
Parliament sources single-origin "Arabica beans through a direct trade relationship with La Virgen Coffee Estates in Nicaragua." The roaster's coffee is also served at numerous outlets throughout the East Coast. If you're stopping by the cafe, expect to see a variety of coffee drink mainstays like lattes, mochas, cappuccinos, flat whites; as well as chai lattes, hot chocolate, and loose-leaf teas. There are grab-and-sandwiches on offer, too. With a 3.5-star rating out of six reviews on Yelp so far, Parliament has gotten a good response. Amanda H., who was among the first Yelpers to review the new spot on December 6th, said: "Welcome to the neighborhood. This is a great addition--and that's in spite of La Colombe being right across the street. I really like the layout and the selection of snacks, lunch, and drinks." Yelper Erica M. added: "Who cannot appreciate a good cup of hot chocolate, tea and yummy pastries? Not to mention the assortment of fresh sandwiches and salads and fiber juices. 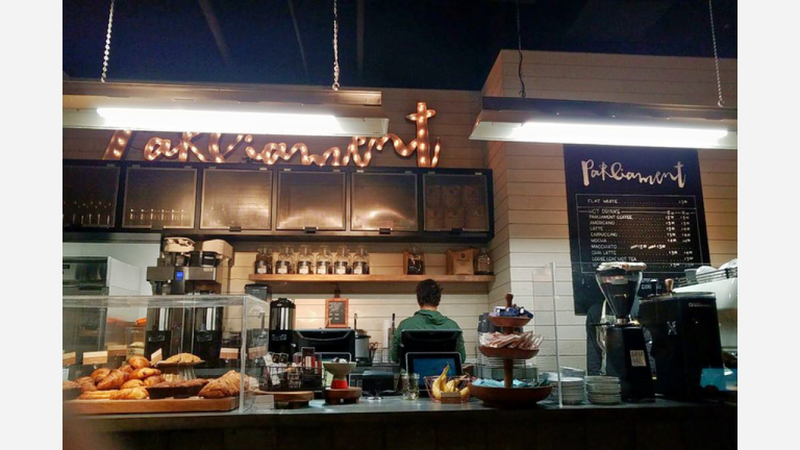 Sweet baristas and great atmosphere make this place a great spot." And Shahla N. said: "Nice modern atmosphere, and friendly prompt service."